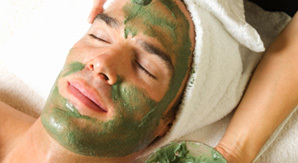 Man's Face spa is specially tailored to clogged pores, oily skin and uneven color tone. It leaves the skin feeling clean, bright and invigorated. 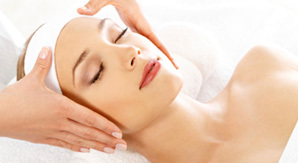 Combined together with neck and head massage it helps in relaxation and relieve tension. 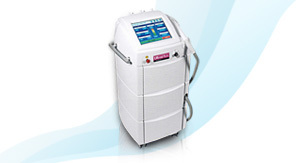 Energist VPL is the latest advance in pioneering Variable Pulsed Light technology. This quick, effective and safe treatment improves a wide variety off skin imperfections. 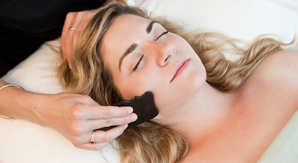 This treatment uses short safe controlled pulses of filtered light to rejuvenate your skin. It offers a safe, non-surgical treatment for many skin conditions often brought by age or over-exposure to the sun. It is also very effective in reducing and controlling active acne and associated problematic skin. 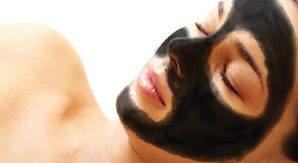 Significant improvements will be seen in your skin condition with a regular course of treatments. 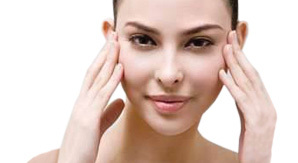 The idea behind Oxygen Treatment is to revitalize the skin. Working at a cellular level, the oxygen will attach to collagen and elastin molecules making these fibers stronger which helps to increase the elasticity of the skin. The oxygen and other nutrients are working to strengthen and nurture your skin for a firmer, suppler skin surface. Oxygen Treatment can stimulate the growth of new cells as well as restore skin moisture. It is used to detoxify the skin where harmful toxins are washed away and replaced by healthy nutrients. As Oxygen is in charge of the maintenance of each cell in the human body. It is responsible for the health and upkeep of your body on a daily basis. Oxygen Treatment is a way to increase the positive effects of this natural process. RF treatment that utilises radio waves to generate deep heat through deep skin tissues which helps to stimulates collagen production, enhances the flow of nutrients and facilitates in the rejuvenation and tightening of the skin tissues. The overall improved deep blood circulation thereby gives the skin the unmistakable glow. It is also helps to improve dark eye circles. GOLD is the mystic element that has been evoked in the dreams of human beings since ancient times, and is a symbol of the sacred and eternal value that we attribute to our lives. Its beneficial properties on the skin were already known by the oldest civilizations, and the ancient alchemists made frequent use of it in their formulae. Today, Coslab created this Gold Gold Treatment that contains real 23k Gold helps to nurtures, revitalizes, and gives a special brightness to your skin. Hydrating : Intensive Serum formulated to helps stimulate cell turnover, re-vitalize and compensate for moisture lost. Brightening : With using of gentle and non-invasive PROFIPEEL helps to gently remove layer of dead skin cell, combined with our brightening serum helps to lighten any uneven skin tone and pigmentation. 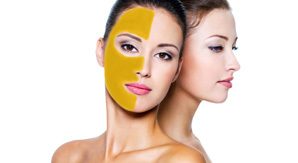 Anti-Aging : Restoring a healthy, radiant and youthful skin with our Phyto Cold Mask.